Target population: Parents of children from birth through 5 years of age. Program Uniqueness: First session focuses on differences in personalities and rate of development, even in the same family. Purposive behavior (the focus of session one in STEP and STEP/Teen) is session 2 with clear guidelines to exclude some of the goals at certain age levels. Parenting young children can be unusually rewarding, occasionally difficult, and always a challenge. Early Childhood STEP can help parents meet the challenge. 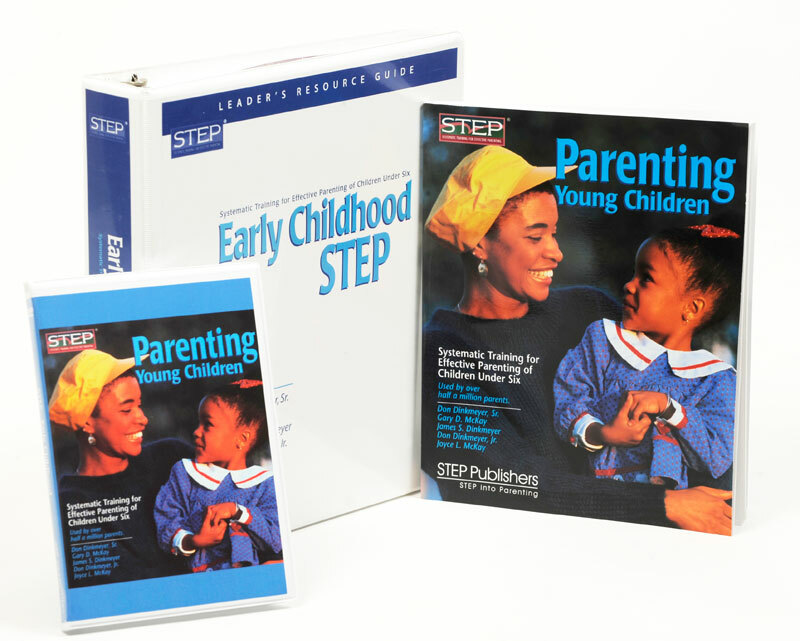 Early Childhood STEP adapts and expands the proven principles and techniques of STEP while vividly illustrating how they can be applied to babies, toddlers, and preschoolers. And with the Leader's Resource Guide, a parent's handbook, plus a leader training video, you'll be even better prepared to lead successful parent groups. Leader's Resource Guide -- leader's materials include session guide, reproducible handouts, activities, parent survey, certificateof participation, additional helps on particular topics important to today's parents. 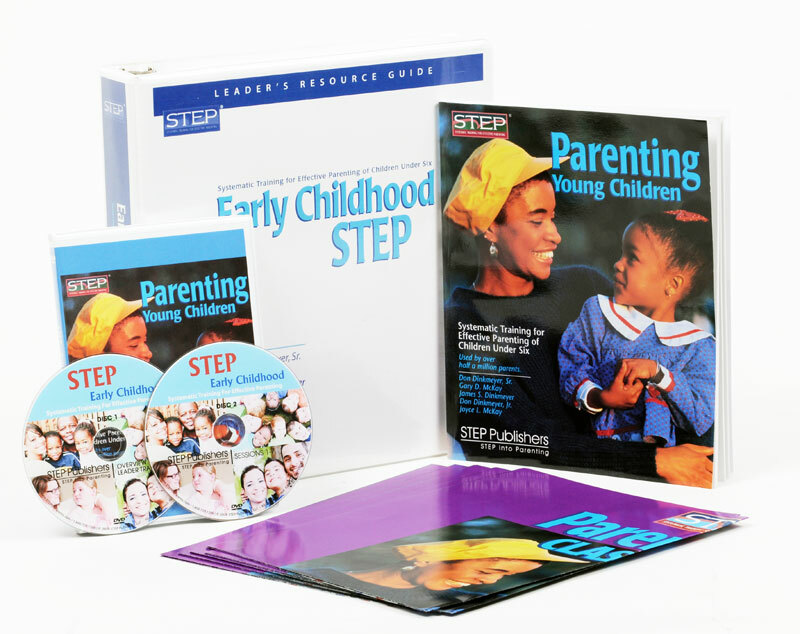 Videos -- two DVDs model skills parents can use right away, plus a video for parent educators filled with tips on how to lead a parenting group. Parenting Young Children, one easy-to-read parent's handbook. Order additional copies for each participant here.